ISLAMABAD (92 News) – The Indian-held Kashmir police has launched a crackdown on Hurriyat leaders and detained dozens from various parts of Kashmir, ahead of Prime Minister Narendra Modi’s visit to Srinagar. The police in Kashmir is keeping a very close watch on all activities on Facebook ahead of Prime Minister Narendra Modi’s visit. The PM is scheduled to visit, Kashmir on November 7th and several propaganda artists have already been circulating messages on social media sites promoting a Million March which is being organized by the separatists. 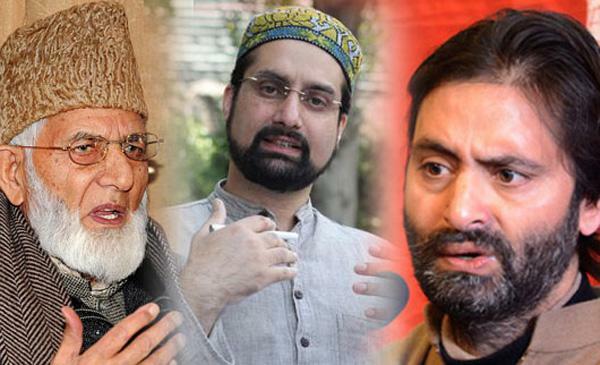 Hurriyat leader Syed Ali Gilani, Yasin Malik, Shabbir Ahmed Shah and others have been house arrested before Indian Prime Minister Narindara Modi’s visit to Srinagar. The decision to arrest separatist leaders was taken after the Ministry of Home Affairs directed the state government to keep top separatist leaders under surveillance. The detentions come after Hurriyat chairman Syed Ali Geelani called for a ‘’Million March’’ in the city on the day Modi is scheduled to address a rally. The PDP leadership has claimed that Modi would announce a massive flood relief package at the rally.